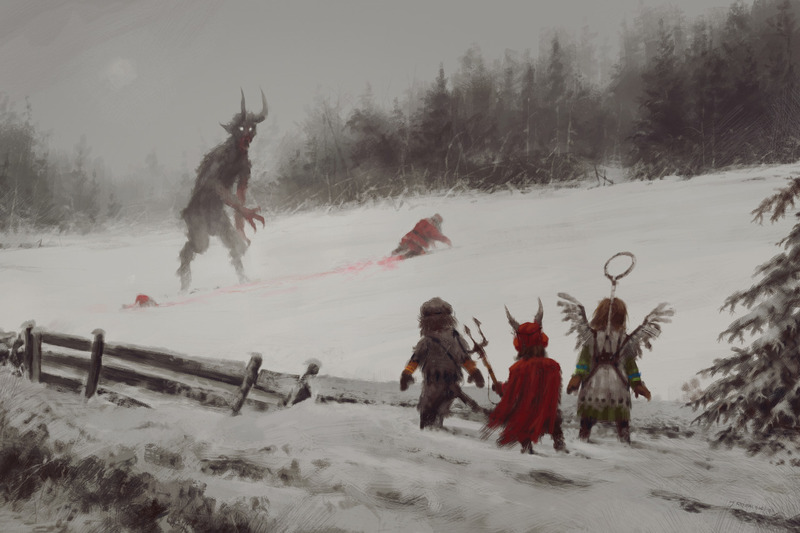 Jakub "Mr Werewolf" Rozalski is a prolific Polish painter whose longrunning series of painters depict rural Eastern European folk fighting against mecha warriors, werewolves, and demons. Rozalski produced much of this art for the successful kickstarted game Scythe, and the best of it has been collected in a $40, 105-page limited edition book. His Tumblr has notes on the individual pieces and the fantastic worlds from which they're drawn; another series is called "Wolfpack - 1863." His Artstation account features process notes and drafts of the paintings.